Generally there are two types of storage mediums for camcorder: DVD camcorder and HDD (Hard disk) camcorder. You can do shooting and directly burn it into a DVD. However, the storage capacity for a DVD is very small compared to HDD. You probably need more than 10 DVDs for a few hours’ video shooting. Problems might arise when your new disc encounters glitches or your camcorder’s burning function malfunctions. HDD storage can be used for longer video shooting. However, when the disc space is full, you can’t proceed with shooting anymore. Furthermore, the HDD camcorder cannot write/burn the data into a permanent disc immediately after shooting. You might have problems to retrieve the data if your hard disc is corrupted. Now thanks to the Hitachi Hybrid DVD/HDD Camcorder, you can overcome the above problems. You can shoot longer videos and share your DVDs faster with no PC or additional DVD burning hardware required. 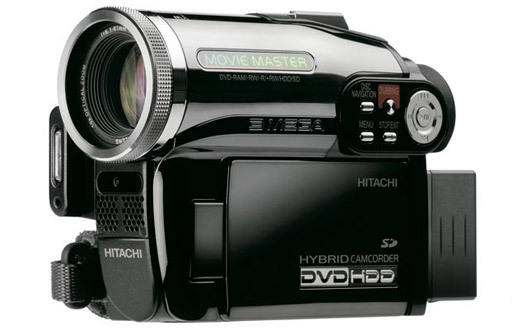 The Hitachi Hybrid DVD/HDD Camcorder uses a combination of both the storage media to give users the flexibility to choose between recording on a DVD or on the device’s hard drive. The new invention will fulfill the demands for amateur as well as professional photographers. It is suitable for family use, travelers, function shooting such as wedding, etc. The Hybrid DVD/HDD camcorder comes in two variations, the 1.3-megapizel DZ-HS301E and the 3.3-megapizel DZ-HS303E. Both camcorders use 8GB hard drives. With the built-in 8GB hard disk drive, you can record up to 6 hours without stopping and without changing discs. 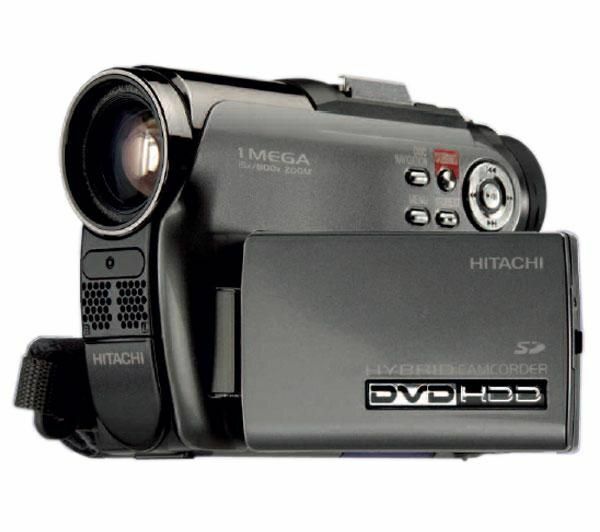 The Hybrid Camcorders come with Hitachi’s one second Quickstart function. The 1-Second Quickstart function is the fastest start-up time on the market. By using this function, you can start the recording immediately without missing any valuable moment. Cool! Hitachi Hybrid Camcorders are small and easy to carry. You can do editing before burning your data into a DVD. You can make as many copies as you have discs. These Camcorders also allow you to select any frame from your videos/movie and turn it into a still digital photograph. The process is simple; just choose your favorite frame and save it as a JPEG photo in the SD memory card and then print or share by email. Other notable features include internal foam bumpers and ESP (Extra Sensory Protection), which ensures that the embedded hard disk is protected from shock associated with daily wear and tear. The Zero G sensors automatically detect falls of 10cm or more, suspending read-write activity and cushioning the hard drive for impact. The result is data loss reduced by up to 50%. Overall, the Hybrid DVD/HDD camcorder is a good deal for people who can’t decide which recording format they would like to go with. It makes video shooting easy and user friendly.